Grandfathers are different from grandmothers, according to conventional wisdom. Grandmothers dote; grandfathers complain. Grandmothers nurture; grandfathers instruct. Grandmothers hand out compliments and cookies. Grandfathers hand out quarters and advice. As usual, conventional wisdom contains some truth. Grandfathers and grandmothers often have different priorities and grandparenting styles, but three points are worth pondering. First, the differing roles played by grandfathers and grandmothers mean more diversity and thus extra value for grandchildren. Second, the emergence of the nurturing father means that nurturing grandfathers can't be far behind, especially considering that grandparenting is by its very nature more laid-back than parenting. Third, generalizations about gender are inherently tricky, as humans display much behavior that is not gender-typical. Still, looking at typical patterns can be instructive. While many grandmothers remark that with their grandchildren they gain the ability to live in the moment, grandfathers have a different experience. Often when they look at their grandchildren, they focus on what lies in their future. This is what psychologist Erik Erikson called "generativity" -- the desire to produce something that will outlive the individual. James S.
Family identity work promotes strong, resilient family relationships. Mentoring work refers to passing on knowledge and skills. Character work concentrates on nurturing ethics and responsibility. Investment work refers to helping young people become financially independent. All of these will play significant roles in the future happiness and financial security of grandchildren. As such, they are fitting topics for both grandfathers and grandmothers to address. Two or more generations ago, when more grandparents were young parents, the world was quite different. Most women did not combine careers and child-rearing. Thus most grandmothers remember being immersed in mothering. Grandfathers, on the other hand, often recall being absent from duty due to work or travel obligations. They may, therefore, see grandparenting as a second chance, an opportunity to recapture experiences missed the first time around. One study of 351 grandfathers found that highly involved grandfathers reported fewer symptoms of depression than those who were less involved, showing that this "second chance at parenting" does have positive repercussions. A grandma is helpful, however, to pave the way, according to a study of European grandfathers. This research showed that grandfathers are highly involved, to the extent that after the age of 70 they are even more active than grandmothers; however, a grandmother is still beneficial in the traditional role of maintaining contact with family members. Without the help of their wives, widowers often become less engaged with family. If a grandfather comes from a traditional background, meaning that he didn't do much of the heavy lifting of child care, he may opt for the same responsibilities as a grandfather. He may not want to deal with diapers or mealtime. He may opt for playground duty but not for bath time. That may not be fair to grandmothers who get stuck with all the menial tasks. Besides, grandfathers are missing out if they never experience the mess of feeding a toddler or the satisfaction of getting a fussy infant to sleep. It's in the trenches, when a child is sick or upset or fearful, that some of the strongest bonds are formed. We know that gender differences exist, even in babies and toddlers. 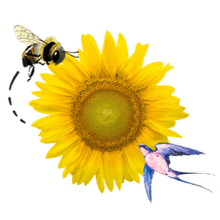 Scientists are still debating how many of those differences are due to nature and how many to nurture, but in most human relationships, it doesn't matter. What does matter is that most grandfathers have certain strengths that make them good additions to their grandchildren's lives. 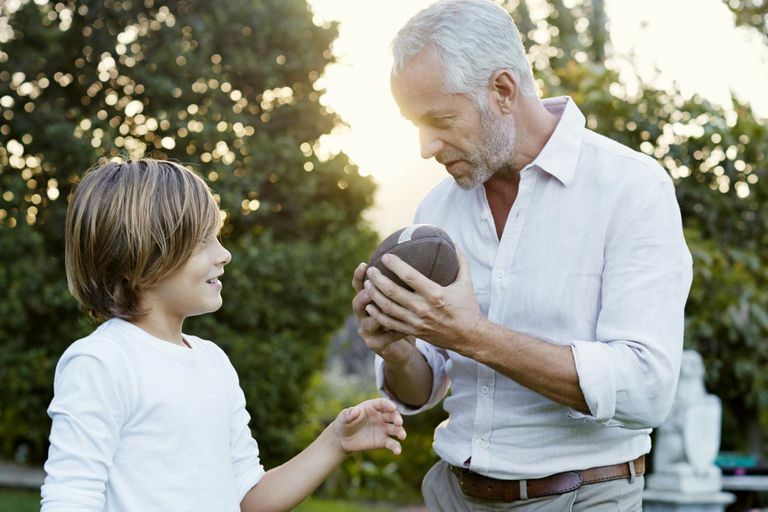 From an early age, males tend to be more active and physical, which makes them well-suited for sharing sports and outdoor activities with their grandchildren. In addition, males have better spatial skills and greater mechanical abilities, which makes them perfect for chess playing, carpentry and basic mechanics. When it comes to interpersonal relationships, men tend to be less empathetic and more competitive, also more likely to engage in teasing and horseplay. As long as grandfathers don't veer into cruelty, grandchildren will benefit from these differing patterns of socialization. In some households, it's the grandmother who plays catch with the grandkids, while the grandfather teaches them how to cook. Grandparents who don't fit neatly into gender stereotypes can be great role models for children. The bottom line is that children benefit from having grandparents in their lives, and involved grandfathers ensure that all the benefits are being delivered.